“Better business writing" is a murky goal. How then, do we improve our business writing skills? In this post, I am going to outline six steps to start improving your English business writing today. This goes beyond business writing tips and tricks and lays out a simple step-by-step process for improvement. You will learn how to correct common mistakes, tricks for better formatting, and how to reduce errors in your writing. We can feel a little hurt or defensive any time a weakness is highlighted. Many clients have told me that writing was not something they enjoyed in school and memories of a mean English teacher with a red pen poised to slash an essay apart is still vivid. For others, even though they enjoyed writing in school, they realize that business writing is a somewhat different skill than academic writing. Whatever the emotional response, let it go. The truth is everyone needs to write well at work to succeed. If we’re good at, our careers opportunities improve. Turning your attention to improving your busines writing is all good! Let go of any negative emotions and focus on the career benefit and ease of knowing exactly how to tackle the task of better writing at work. This can be challenging if the only feedback we have received is we “need to improve.” Where to begin? There are so many embedded skills in business writing, so it’s important to understand what is working and what needs improvement. Separate the information/substance/content of a document from the words that express that information/substance/content. There is the information, and there are the words that express that information. We have to look at these separately to identify strengths and weaknesses. Reflect on the information contained in your typical documents. Do your readers have the information they need? Is it logically grouped? Does it flow logically? This is the information or substance of your document. Reflect on the words you use to express the information. This is the syntax, or the way you use words. For a deeper analysis of this issue, read Improve Business Writing Skills to Measure What Matters. While it’s possible to review your business writing skills, it’s hard to be truly objective because we know the facts of our documents so well and we understand what we are trying to express. A professional business writing assessment, which should always be part of a good business writing course is always the best measurement. One of my grandmother’s favorite expressions was “that’s just putting lipstick on a pig” when someone tried to improve or polish something that was innately flawed. Trying to fix the language and words in your business documents before the information and substance is accurate, relevant, and well organized is just like putting lipstick on a pig. Sentence improvements will never fix gaps in content or disorganization. Review several documents you’ve written at work lately. Review varying types of documents and include email and reports. Decide on the major categories of information necessary for your defined reader to know or do what you want. Develop details around these major categories of information. Sequence the information logically. What category would lead best and what category should close? Remember the acronym B.L.O.T - bottom line on top. 90% of business documents should begin with the information most important to your audience. This beginning statement should be the purpose statement you identified while you analyzed your audience. The concluding information should elicit the business response you seek. 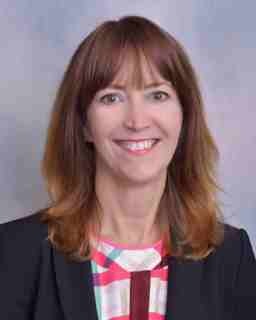 For example, let’s imagine you are an insurance sales representative and a client has inquired about adding additional flood insurance to her homeowner’s insurance policy. You know this coverage would be beneficial to her, and it would increase business, so you want your reader to understand the benefits and purchase the additional coverage. The additional flood insurance coverage would protect your home if it were to flood because of hurricanes, river overflows, or excessive rain. All of these hazards have increased in your area in the past five years by 36%. To enact this coverage, please sign the enclosed coverage agreement on both pages three and five. Scan the signed coverage agreement into a PDF document and email it back to me by May 13. Look back at your sample work documents. By following these steps, can verify that your information is correct? And, breaking it down will help you identify where you tend to lose focus. Study several different documents you wrote in the past few weeks and ask yourself what formatting enhancements would make them easier to scan. Everyone makes different grammar and stylistic errors, so nothing will improve your business writing as well as business writing training that includes a professional instructor review of your writing. If that is not possible, you will need to self-diagnose your language and grammar. Run at least ten recent documents through Grammarly. Grammarly is an excellent spelling and grammar checker that will flag errors and explain what is wrong. You want to look for patterns. If, for example, Grammarly tells you that you made three “me, myself, and I” errors across your documents, accept that as a strong indicator that “me, myself, and I” usage is an error you need to correct. Run all of your documents through Grammarly and compile a list of all the errors Grammarly diagnosed. Grammarly is not foolproof, but it’s quite good. Without a professional review of your business writing, it’s the best objective assessment. The best grammar resource on the Internet is the Purdue University Online Writing Lab (OWL). Use the search button on Purdue’s OWL and search for the first error in your compiled list. Purdue OWL has detailed explanations and exercises to help clarify your understanding and use of that grammar rule. Stay with the exercises until your grammar understanding of this first error is corrected. Once you feel comfortable with your correction of your first grammar error, then move on to the next. Make sure you’re comfortable with your new grammar skills before you move on because grammar correction is primarily a habit of practice. Your grammar skills will improve from awareness and practice. Business writing is notoriously bloated. Instead, business documents should be clear and concise. Fewer words are better than more. Bloat typically creeps in through sloppy verb use. Imagine watching a Bruce Willis movie that shows Bruce napping or knitting or whittling on a park bench for 90 minutes. Bored yet? So too are readers if your writing has little action or wimpy verbs. This article will explain smothered verbs in detail. You will cut at least 25% of unnecessary words by simply “unsmothering” verbs. Let the verb do its job in a sentence without smothering add-on words. The impact on business writing clarity is amazing. --> Business Writing Clarity Strategy #3: Recognize the Power of Short Words. Years back, some business writers felt they conveyed their intelligence more by using long words when short words worked better. Long words don’t make you sound intelligent unless used very skillfully and judiciously. In the wrong situation, they’ll have the opposite effect, making you sound pretentious and arrogant. They’re also less likely to be understood and more awkward to read. Remember this maxim about business writing: Write to express, not to impress. Good business writers use short words and fewer words well. Read good business writing blogs. Our blog addresses business writing improvement specifically. Join 25,000 other monthly readers by subscribing to our newsletter here. Grammar Girl will explain the nuances of grammar very well. Read good writing. Read anything that interests you that is written well - novels, newspapers, good blogs, short stories, or essays. This helps you develop skills needed for good writing. If you want to hone clarity, read anything by Theodore White or the short stories of Andre DuBus. 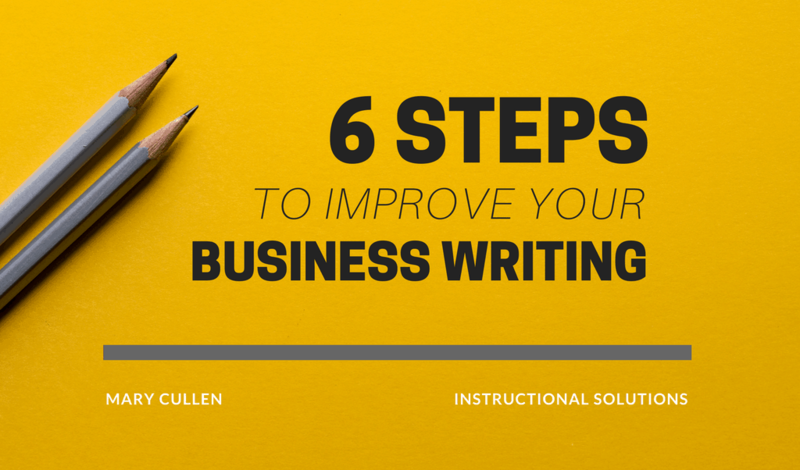 These six steps will diagnose and improve your business writing skills. If tackling all of this on your own is too much, contact us for information about business writing courses. We’re here to help.